Owned by Sterling Industries Plc, Argo employs a highly experienced team of engineers that are dedicated to supporting all operators both onshore and offshore. 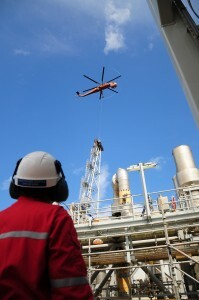 Argo Flare Services’ comprehensive flare service and support capability includes offshore services, flare studies, refurbishment, maintenance, inspection and commissioning. Argo Flare Services aim to improve customer support to a level previously unknown within the industry. Our key target is to reduce operator maintenance costs and improve flare tip performance. Cost reductions are achieved by targeted maintenance programs of inspection and refurbishment of existing flare systems carried out by our own highly experienced staff. New flare systems are supplied to the same exacting standards with experienced staff from the industry. To offer a professional specialist flare service to the Oil, Gas, and Petrochemical Industry, with an aim to assist our clients achieve cost, environmental and maintenance benefits. We shall always strive to assist our clients to reduce operational costs, improve maintenance efficiency and reduce emissions from their flare systems. To be an approachable and impartial service and a supply company to the flare industry. To provide total flare system design and together with installation, commissioning, inspection, maintenance and flare refurbishment services. From concept to completion and throughout the operational life of the flare system, we want to be with our clients every step of the way. We intend to offer our support and impartial advice to operators, contractors, third party inspection agencies and other flare suppliers alike. Argo intends to continually reinvest in both its staffing levels and in ongoing training. We want to maintain and increase our skills base in all areas, ensuring a reliable and value for money service to the benefit of all. Total Flare Service is our goal. Find out more about us from the menu on the right.